June 2, 2016 – The Machining Program at Front Range Community College has been added to The Manufacturing Institute’s “M-List,” a national recognition that FRCC teaches to industry standards. “The M-List is an acknowledgement of FRCC’s outstanding machining technology courses,” The Manufacturing Institute stated in notifying FRCC. Specifically, FRCC offers students the opportunity to earn National Association of Manufacturers-endorsed manufacturing skills certifications as a standard part of its program. 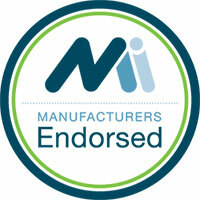 The Machining Program also earned accreditation recently from the National Institute of Metalworking Skills (NIMS). The Machining Program offers non-credit training and for-credit certificates. The Manufacturing Institute (the Institute) is the 501(c)(3) affiliate of the National Association of Manufacturers. As a non-partisan organization, the Institute is committed to delivering leading-edge information and services to the nation’s manufacturers. The Institute is the authority on the attraction, qualification and development of world-class manufacturing talent.